FICO vs. VantageScore Credit Score--What's the Big Difference? If you signed up for a free credit score using a site like Credit Karma, you’ve probably noticed something a little strange: Your free credit scores are different than your FICO scores. What gives? Most free sites offer consumers a VantageScore which is a different credit scoring method. In a nutshell, the FICO and VantageScore systems use a separate set of rules to arrive at a final credit score. The FICO score is most widely used by lenders and credit card companies to determine creditworthiness. Scores range from 300 to 850. The higher your score the more attractive you look to lenders. 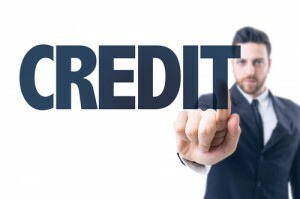 Five major factors from your credit report are used to determine your scores. And we all have multiple FICO credit scores because score results vary depending on which credit bureau it comes from, TransUnion, Experian, or Equifax. This category measures your total debt and revolving account utilization. Credit cards are the most common type of revolving accounts.When you have a credit card with a preset limit, you utilize it as much or as little as you want. Utilization is the percent of credit you use. For example, if you have a credit card with a $1,000 limit and your current statement balance is $500, your utilization is 50%. The sweet spot for utilization is under 30%. In most cases, having a longer credit history increases your score because it shows you have more experience managing debt responsibly. This category includes the amount of credit you’ve received recently. You look riskier to lenders if you apply for many credit cards or loans in a short period of time. The final FICO score category weighs the type of credit accounts you have, and judges your overall experience managing different forms of credit. The big catch with the FICO score is that it’s not free. You can get your score from all three credit bureaus on the myFICO website for $20 to $60. A few credit card companies, like American Express and Discover, now offer free FICO score monitoring with products. More credit card companies plan to roll out free FICO monitoring in the future, so check before spending the money. The VantageScore is a newer scoring method. Scores range from 300 to 850. Your past history of making on-time payments. As you can see, this is the key factor in both scoring methods. The length of time you’ve had credit and your mix of open accounts. Over time, diversifying the type of accounts you have can improve your score. This is your credit card utilization. The total amount of current and delinquent debt that you owe. The number of recently opened accounts or credit report inquiries. The total amount of credit available to you that you’re not using. Where Can You Get Your VantageScore? The great thing about the VantageScore is you can get it in multiple places for free with absolutely no strings attached. They’re offered by Credit Karma and Quizzle. On each site, you can see in detail how the factors above influence your score. Which One is the “Real” Credit Score? Both your FICO and VantageScore are the real deal. Even though FICO is often used to make credit decisions, checking your VantageScore is a good free alternative. To keep tabs on your credit, pick one free site and review your score over time. Whether your score is trending up or down is what’s most important. If your credit begins to decline make sure you understand why and try to reverse it. Also watch for errors that could be a red flag that you’ve become the victim of identity theft, and dispute them right away.